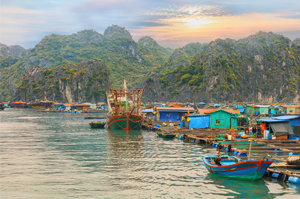 Both great UNESCO World Heritage Sites, Angkor Wat in Cambodia and Halong Bay in Vietnam lure for travelers with a heart for real experience. 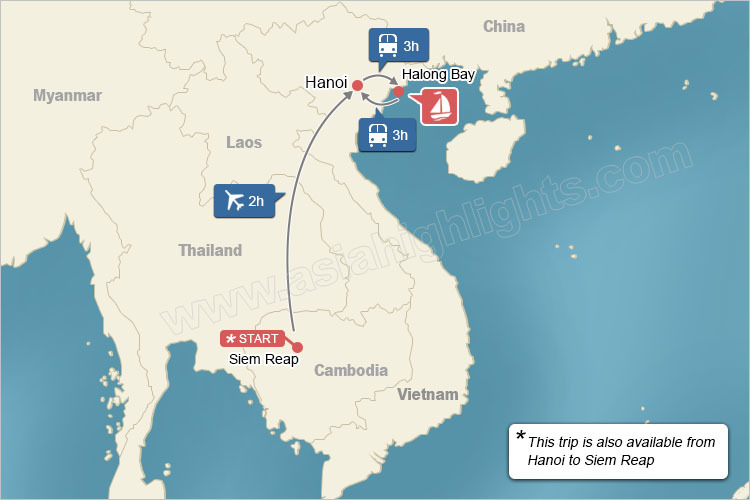 Fly to Siem Reap to start your holiday. 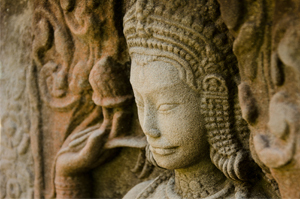 Upon arrival in Siem Reap, you will be warmed by your tour guide&apos;s smile. Transfer to hotel and free at leisure. Siem Reap is pretty easy to zoom in and out. 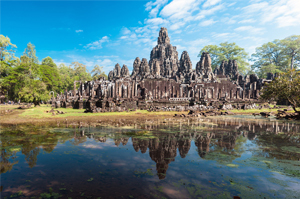 To make the best of your time, we will visit the most essential part of the Angkor Wat Complex, namely Angkor Wat, a textbook temple for Angkorian art; Angkor Thom, learn about the stories of the Khmer Kingdom; capture the Smile of Angkor at Bayon Temple and walk under the giant thress of Ta Prohm. Get back to town center after the tour and attand an Apsara Dance Show at Por Cuisine. Early morning before 8am is the best time to visit the less-seen yet stunningly beautiful temple of Bantey Srei. This small temple is distinguish in style and your local tour guide will share some interesting stories related. Learn about Mr. Aki Ra&apos;s life in Cambodia Landmine Museum. Back in the time of Khmer Rouge, he was trained as a bomb planter and now, together with his team, he&apos;s dedicating in making Cambodia a bomb-less country. The last stop of today is the tree-capped Beng Meala. Transfer to the airport and fly to Hanoi. This morning, you will exchange insights with your local tour guide at Vietnam Museum of Ethnology. Later, learn the mind-provoking history at Hoa Lo Prison before lunch at a local restaurant. Noisy, bustling and crowded, the capital city of Vietnam strikes people with its strong vibe. However, what&apos;s more interesting is the way people live. 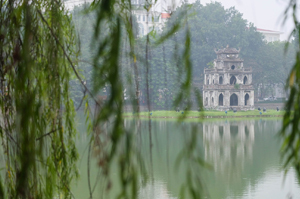 Today you will get to know the city better by visits to Hoan Kiem Lake and the Old Quarter before the last stop at Dong Xuan Market . After breakfast, transfer to another UNESCO World Heritage Site, Halong Bay. Board on the cruise and free your mind and body in the ocean breeze. The cruise will end in the early afternoon. Transfer back to your hotel in Hanoi and free time afterwards. Enjoy some free time in Hoi An. Later, transfer to Danang and fly to the capital Hanoi. Check in and have the rest of today free at leisure.